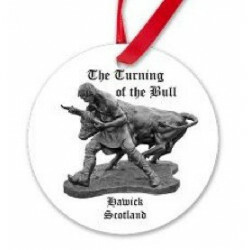 What better way to commemorate the Turning of the Bull dedication than with this handmade porcelain ornament. High quality porcelain ornament is a wonderful and unique addition to any collection. 2 7/8" in diameter.